Is the content you are throwing out into the webosphere actually worth anyone’s time? Having this question in the back of your mind is a perfect reminder for making great content. However, it might not drive your brain enough to develop something that is still worth someone’s time next week, next month, or even next year. Is your content sustainable? Our situation today isn’t exactly friendly for promoting new content. The interwebs continually get jam-packed with information as everyone creates and shares new YouTube videos, blog posts, and infographics every day. Standing out in all of this is tough enough as it is, let alone continuing to stand out months from now. Heck, if you can write an article that is shared long enough to be seen the next day, you’ve already beat out thousands of other individuals that tried the same thing. A piece of information is worth its weight in gold if you can figure out what will make it last. Sounds easy, huh? Except no one has any clue as to what exactly makes up a good idea. As of right now, this post itself sounds great to me. Will it perform? Eh, who knows? What you make might just be a higher word count than the other guy’s, but it still isn’t necessarily something that will outperform his and prove resourceful later on. – What I see on Twitter every day. I might be able to throw some things together every single day, but it won’t be worth showing to the world. Content like that isn’t very sustainable. It won’t last as it slowly falls under the mess of tomorrow’s content. Bravo if you pull in some organic search traffic, but chances are you’re just filling in space with another wall of text. Much of the content produced on this blog is strategically thought out, and we have these posts planned sometimes months ahead of time. Yes, some blog posts, infographics, and other forms of content do better than others. But we continue to try and come up with things that will perform for us in the long run. Some of our best pieces have rewarded us time and time again due to this mindset. This type of sustainable content certainly has a strategy in itself. It doesn’t just gain us a few retweets and Facebook likes for the week — it continues to perform well past the foreseeable future in ways we might never have expected. But that’s exactly how we planned it. Things that are sustainable last and continue to build value as they go. They are always worth going back to no matter how old they get. Think about Mona Lisa, Mozart, The Beatles, and Star Wars. These things are all very old or are getting there (just admit it), but they are hardly losing value as they age. People continue to spend a significant amount of their lives (and money) on each of these things. Sustainable content and information will withstand the days of junk that flows through the web, and it might just last forever by performing long past the week it was published. Sure, this is easy to compare to a Da Vinci painting, but how might I create something this great on the Internet? How can I get it to be that timeless piece of information that will never grow old and fall between the cracks? It won’t be easy finding a great idea that will last as long as the Mona Lisa, but there are several areas that can create the framework for a sustainable piece of content. Hopefully some of the concepts listed below can shed some light on your next big idea. Data might just be your best friend. I love data. Data from research studies and other scientifically based information can easily be used to create great content. If it is based on scientific information, which doesn’t change a whole lot, then you can make a pretty good case with cool pieces of content. Perfect example of this? The Buffer Blog is a great place for inspiration. They have plenty of examples for research and data-backed information that probably will never be outdated. 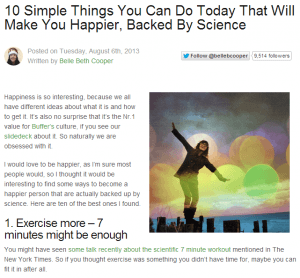 This post about the science of happiness gains them new links every single day, and it was created 8 months ago. Its timelessness will most likely only gain them more links even years beyond its post date. In fact, it was so good, it inspired us to make an infographic from similar information, which performs just as well for us even today. 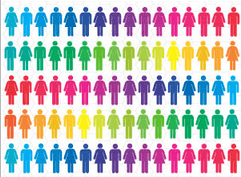 Another similar example is our Psychology of Color infographic. It’s been more than a year since this was first published, but even FastCompany decided to share it just the other day! Over time, it’s built up more than 600,000 stumbles and continues to bring in more and more traffic everyday to our website. If you have access to your own data and information that you have gathered, even better. “Source?” Make a claim anywhere on the Internet and this is the first thing they ask. If you have valuable information that lots of people might be interested in, now YOU are the source. This is exactly what Buffer continues to do by sharing data from their app usage, and what we have done as well in projects like The United States of Search. Sometimes to make something sustainable and even more valuable, you need to time it well. Thinking ahead of time can pay off as you can create things that might be more applicable at a future date. The publicity it will get upon the arrival of the event will make it an authoritative source for future reference as well. An easy and sometimes over-hyped example of this would be something seasonal. A holiday shopping guide will obviously pay off during the current holiday season, and the next holiday season, and so on. This example is already being exploited to the max, but the general idea is to create something ahead of time that you know will be referenced again and again. We attempted this exact idea with our “Who Controls the Internet?” graphics. 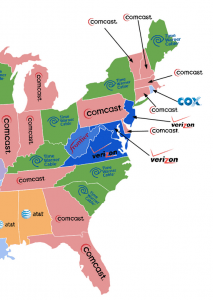 At the time, Comcast was considering a merger with Time Warner Cable, which would have made the giant company even larger. The awareness this created landed the graphic on The Huffington Post and many other large websites. But it isn’t going to just stop there. Federal reviews are set for the merger in the future which will create even more buzz for the subject, allowing more opportunities for it to be shared. Upon hearing whether or not the companies will in fact become one will again spur more interest in our maps. Example two is our our Password Guide. We launched it last week with the news of Heartbleed, the OpenSSL bug that threatened the security of thousands of websites. We knew people would be changing their passwords that week, and in several weeks to follow, which meant this was literally the most perfect time to post such a thing. This perfect timing landed our guide on Yahoo News! This initial awareness has prepped the guide for future usage as a reference whenever people need to change their passwords again and again. Timing doesn’t just cover seasonal opportunities. It can involve trending news and other stories that you know will develop as time goes on. But getting there first is crucial. Timing really is everything, but you can use it to your advantage to spur on some great ideas and great content that will keep performing months on end. Is there anything coming up in your industry that you should create content for? I bet there is! With a little bit of work and some quality outreach, you can really take advantage of the situation. Sustainable content has to be worth something for a time after it’s been created. Now, that might be unrealistic in today’s ever changing technological society, but it is still important. Some content seriously can’t be relevant even two months after it was made… but it can be updated. Evergreen content is essential if you want your content to continue showing value years from now. Evergreen content is certainly a strategy that is favorable in many different ways. Even search engines love it. 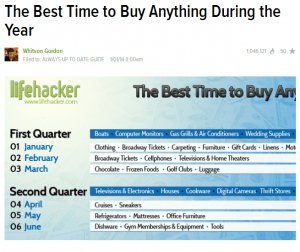 Some of the most practical evergreen content I’ve ever seen is from Lifehacker. They even have a section of their blog called “Always Up To Date.” This section includes extremely popular blog posts like “The Best Time to Buy Anything During the Year” or “The Best PCs You Can Build for $300, $600, and $1200” that are updated all the time to remain a trustworthy source of information no matter what. This is extremely useful as the topics are very impermanent and yet always popular. Providing an evergreen resource like this is a perfect way to implement sustainable content in your strategy. If it is always useful, then it should be valuable to someone at all times. I did mention receiving traffic from organic searches earlier, but don’t depend on this alone in creating content. Much of the posts that do the best from organic search results on the WebFX blog weren’t expected to bring in that much traffic from Google, but they do. Hey, we aren’t complaining! Google just so happened to rank us well. That being said, you do need to keep SEO practices in mind while building out your blog posts and other forms of content. However, with all this other content coming in from other sources, you don’t want SEO to be your only focus. If you create something from the ideas above, the links you get from those practices might encourage your posts to do better in search engines anyway. Sustainable content as your number one focus with just a hint of SEO might demonstrate a winning strategy from Google all in itself. Google likes great content, but not if it is just like everyone else’s. Make it great and make it usable, and Google will turn it into a sustainable piece on its own. If you are one of those sites that is just chucking useless blog posts out into the already polluted Internet waters, then you might be wasting your time. We already know it is becoming an issue. Sustainable content is where your most valuable readers are. It is where your future customers come to find you, and it will prove to be worthwhile as you continue to build up your brand. Why wouldn’t you want to make your content better? Let’s go back to Mona Lisa. 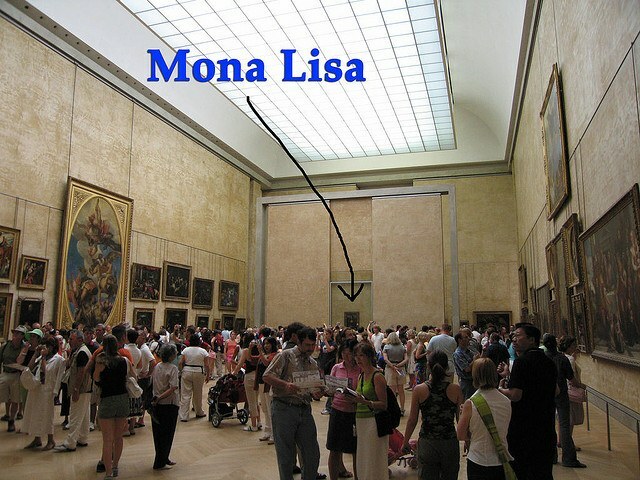 As it turns out, Da Vinci didn’t even realize the Mona Lisa was going to be famous someday. Little did he know that millions of people would pay to line up behind this small painting. Needless to say, he still put the time and talent into his “content.” If Mona Lisa was a website, she would have thousands of unique visitors every single day while good ol’ Leo raked in big bucks. That’s a worthy piece of content! The rest of Da Vinci’s works have escalated in value as a result of the Mona Lisa. He made his content great from the start, planning for it to be a timeless piece centuries later. Stop wasting your time, and start putting time and hard work into your content. Planning for the long run will pay off better than throwing content up online with the rest of the crowd. Think ahead and make your content sustainable. It will only continue to build value as time goes on! Featured post image by mao_lini.